It didn’t take long for Ryan Allen to follow up on Heart String Soul, one of last year’s better punk pop records. Despite the relatively short turnaround time (or maybe because of it), Basement Punk is an even stronger effort than it’s predecessor. Listen to “Watch Me Explode” and you may be reminded of Ultimate Fakebook, one of the 90’s best punk pop bands. Moving at a frenetic pace and with a hooky chorus, this is power pop with the accent on power. “Without A Doubt” is another adrenaline soaked track with a melody that makes this song a real earworm. Basement Punk has its share absolutely wonderful mid-tempo tracks, too. “Chasing A Song” and “Gorgeous With Guitars” are beautiful melodies, each amounting to one monster hook from start to finish. The hypnotic “Alex Whiz” and its layered soundscape remind me of a less murky (and much better) My Bloody Valentine. “Gimme Some More” is another example of first rate power pop. Pleasing melodies and jangly guitars make for a good power pop record. Add the kind of lyrical maturity evident in songs such as “People Factory” and you’ve got something much more. Simply put, Basement Punk is great rock ‘n’ roll. 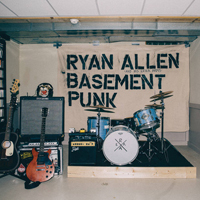 Although Ryan Allen’s Basement Punk can be called punk pop, make no mistake. The emphasis is on the pop and the results are outstanding. Street date is September 30. 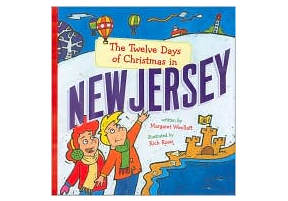 Physical copies are limited to 500 so if your preferred medium is CD, then you need to jump on this right away. Both CD pre-orders and digital product are available through Ryan Allen’s bandcamp page.